Petco is a national pet specialty retailer that offers everything you need to help your pet live a happy, healthy life. Petco offers food, treats, toys, supplies and services such as grooming, dog training, and vaccinations. Gift cards are redeemable in-store and online. 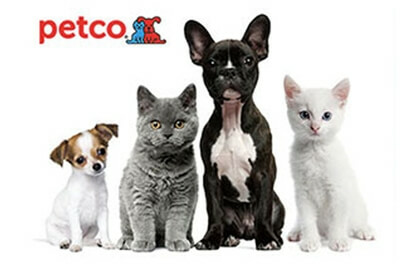 Go to petco.com to shop online or find a store near you.